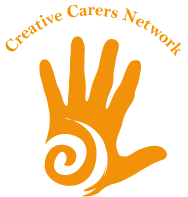 In the 2017 State of Caring survey 7 in 10 unpaid carers said they found it difficult to get a good night’s sleep as a result of caring. Everyone occasionally has a bad night’s sleep, it becomes a real health issue however when lack of proper sleep occurs on a regular basis. It can lead to issues such as poor concentration, depression and high blood pressure. What are the causes of poor sleep? This month we would like to share Val’s story. Val is a regular member of one of Sensory Trust’s walking groups attending weekly with her husband George. We are excited to be running our first Fun Palace this October titled Nature, Art and Play and we’d love to invite you along.